The Barber Boys don’t need another feather in their cap. In fact, they don’t need a cap at all. Their hair and the hair they cut is too perfect to cover up. And soon more guys will forgo a hat as Barber Boy have opened their newest store today in City Cross in Rundle Mall. 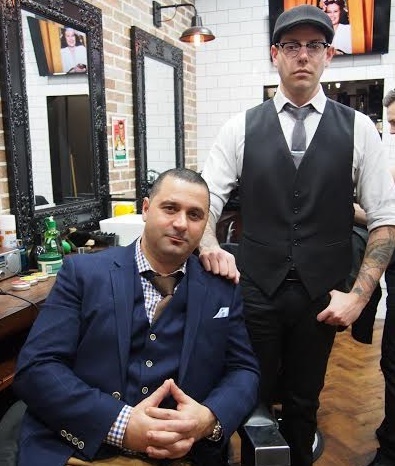 ‘Barber Boys has been growing across Adelaide for the past 11 years and the new City Cross location is a very exciting step for us,’ says Company Director and Barber Don De Sanctis, referring to already popular establishments in Tea tree Plaza, Golden Grove, Muno Para, Ingle Farm and Castle Plaza. There’s no excuse for you not be looking your best for the week ahead or weekend coming. Barber Boys caters to all types of barbering and has dedicated rates for all types of customers; students, pensioners and special occasions. Head to Barber Boys’ Facebook page to check out the stylish hair creations they’re renowned for and book them for your next appointment! No need to book, it’s first come, first served for the newest store of this great Adelaide brand.